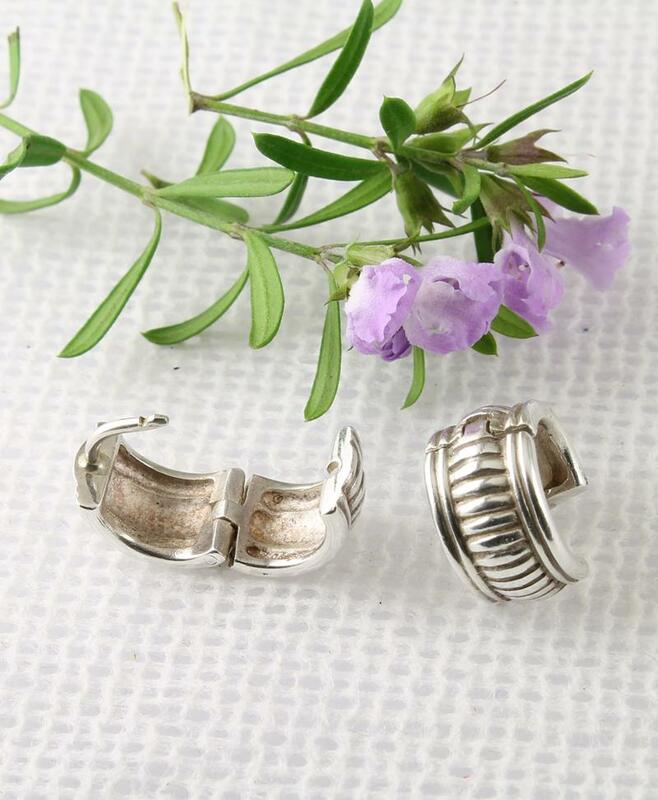 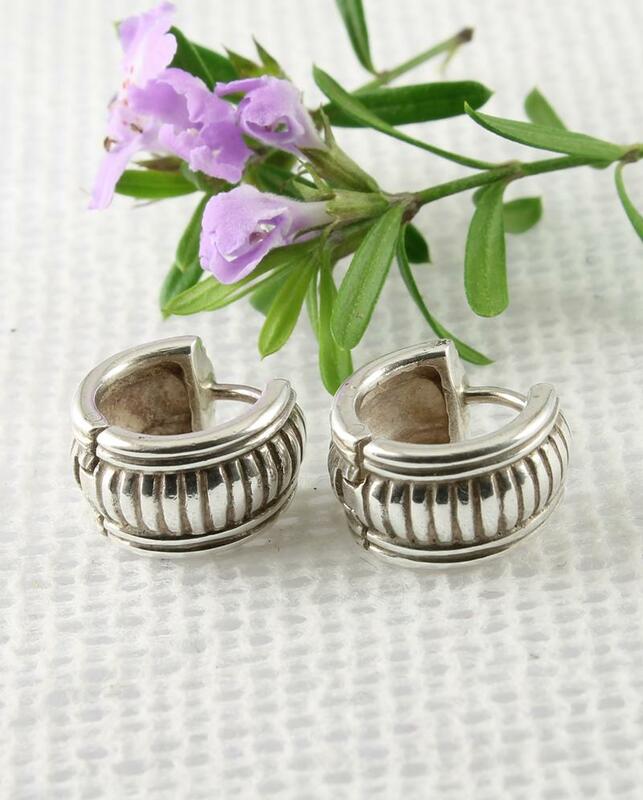 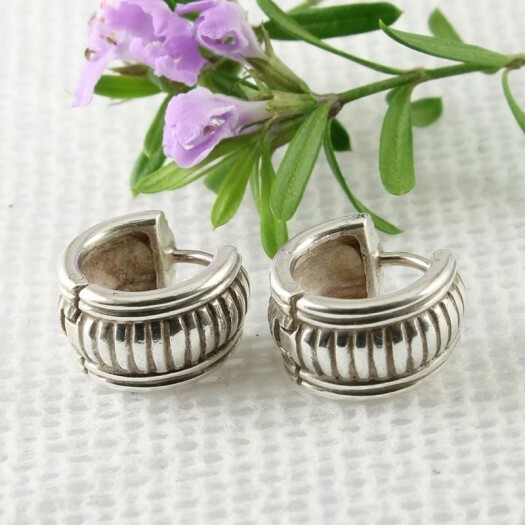 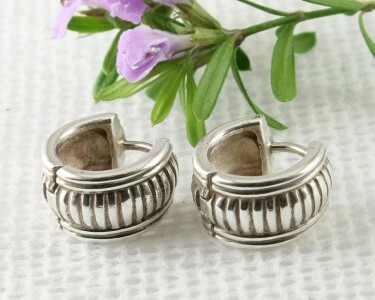 These delightful vintage-style, sterling silver, small hoop earrings feature fluted, slightly convex, hollow hinged barrels secured by sterling silver curved ear wires. 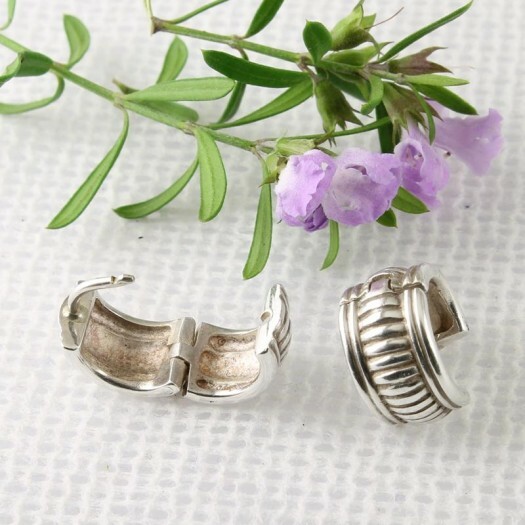 Wear It With : These intricately detailed vintage-style hoops will attract a lot of admiring attention, yet they are sufficiently understated to go with any and all your outfits. 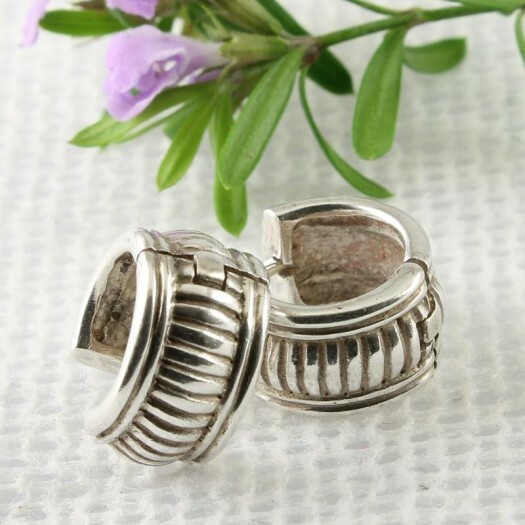 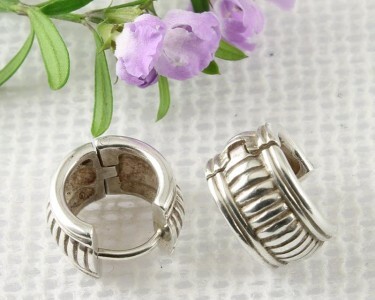 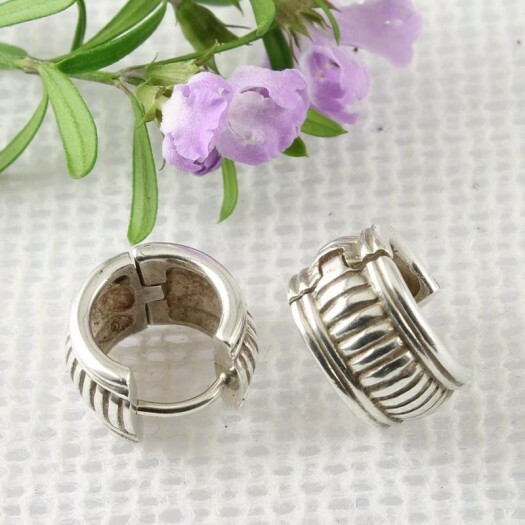 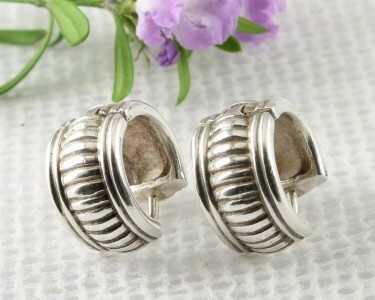 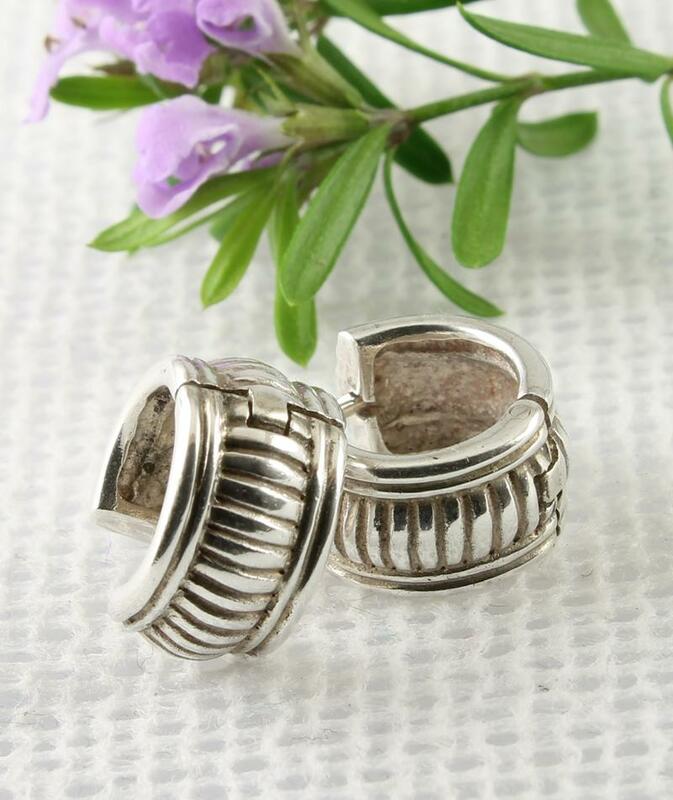 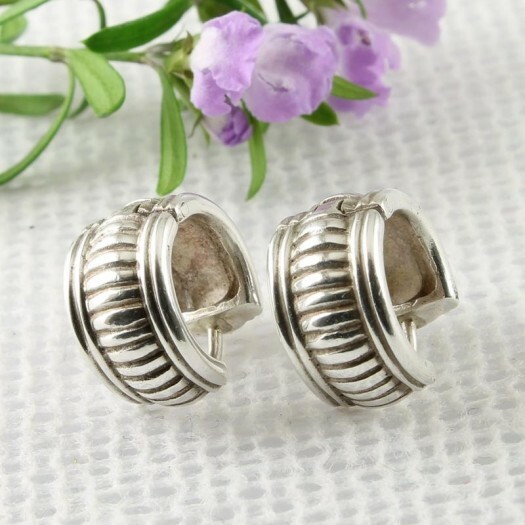 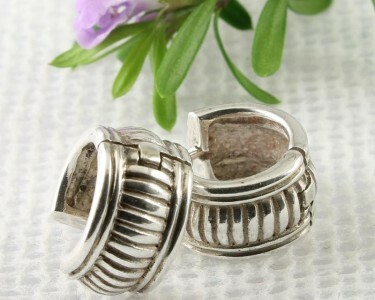 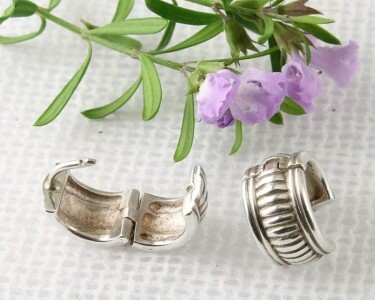 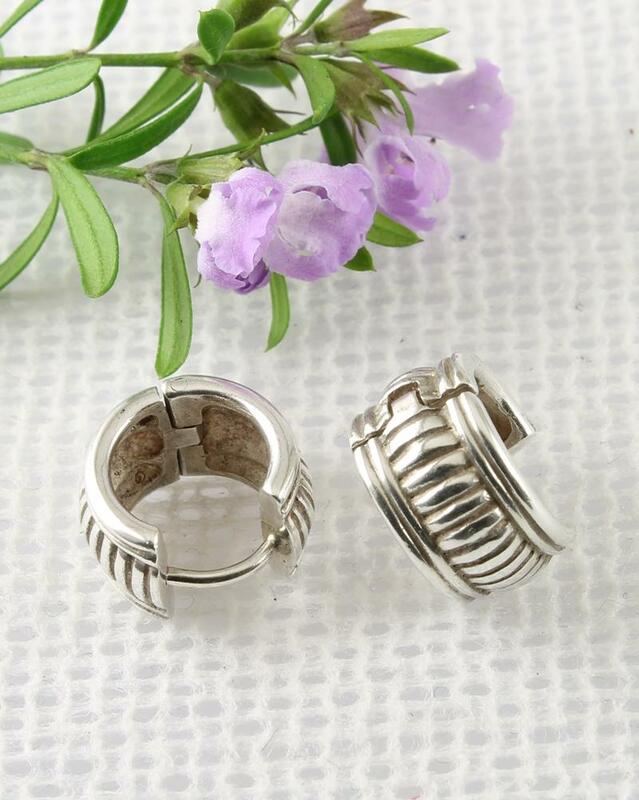 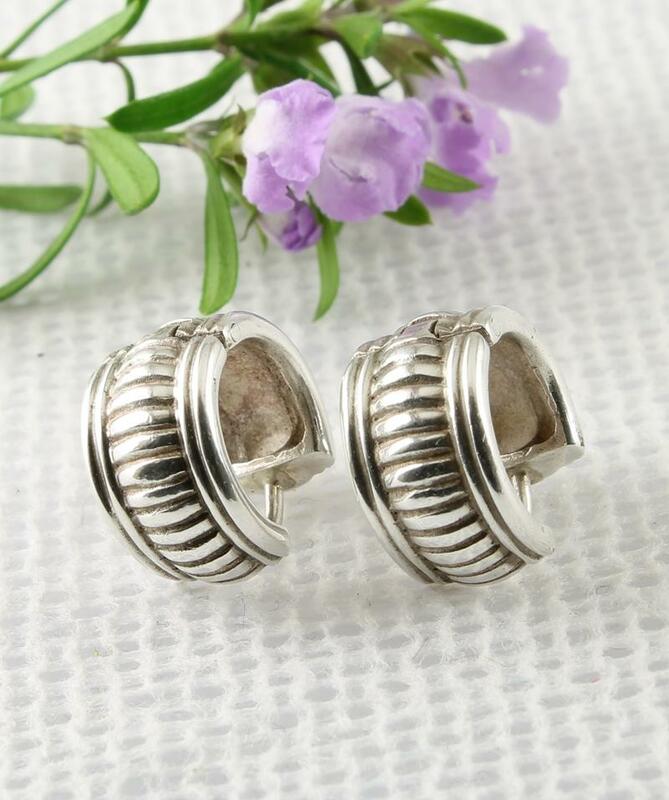 And you'll find that they will very successfully match your other sterling silver jewellery.